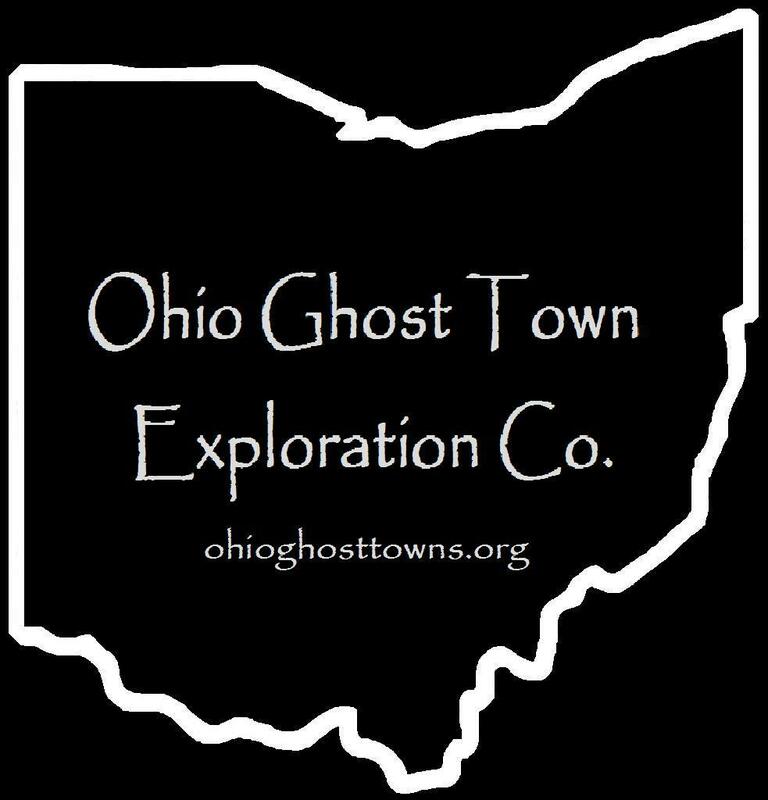 Ashtabula County – Ohio Ghost Town Exploration Co. Description: The town was named after George S. Anderson (1857 – 1924), a well respected country physician & surgeon who owned a few parcels of land in the area. Description: It was named after the local Barnes family & had a church in the mid 1800s. Some of the Barnes family members are buried in the cemetery. Description: Calm’s edge just barely crossed into Ashtabula. The post office was in Thompson Township, Geauga County. The town’s old schoolhouse is now a private residence. Description: It’s technically a ghost town but only on paper due to name changes & getting annexed into Conneaut. Description: The town was founded by Jason Fargo (1790 – 1861) & Clarissa (Harmon) Fargo (1801 – 1880). They had several children, ran a 156 acre farm, & Jason was the first town trustee. The area was later named East Village & is now part of the city of Ashtabula. Jason & Clarissa were buried in Edgewood Cemetery with some of their children, including Dan & Lucius who had a prosperous 570 acre farm. Description: It was founded by the Hare family in the township. Description: Iona was a small farming & postal town. Description: The town proprietor was an M. Osborn who built a grist mill, saw mill, general store, & ran the post office. Description: The Paden family were Quakers who also owned 400 acres with a saw mill along Paden Creek in Conneaut Township, Crawford County, PA. Description: Phoenix was a postal & shingle mill town. Graham Road Bridge was constructed with wood salvaged from a former bridge that crossed the west branch of the Ashtabula River & was badly damaged in the 1913 flood. Description: Sherman’s status as a town didn’t last long. It isn’t on the 1874 or 1905 county atlases, but can be found on the Ohio map in the 1901 Cram atlas. Description: The Steele family owned the section of land in the northwest corner of the intersection & operated businesses over several decades in the mid 1800s. Description: The town was founded by Joseph Mitchell Watson (1822 – 1876) & Mary Jane (Courson) Watson (1821 – 1892). They had 8 children & moved to Ohio from Pennsylvania around 1870. Joseph & Mary Jane are buried in the cemetery. In 1798 Revolutionary War veteran Colonel Alexander Harper (1744 – 1798) & Elizabeth (Bartholomew) Harper (1749 – 1833) settled on the banks of the Grand River & built a grist & saw mill. They moved there from Harpersfield, NY which was also named after the family. The Harpers are buried with some of their descendants in Harpersfield Cemetery at the corner of SR 307 (N River Rd) & Harper Valley Ln. There are also several other Revolutionary War veterans & early families from the town buried there. Harpersfield had a post office from 1804 – 1837 & is still a populated area. A covered bridge was built in 1868 spanning Grand River. At 228 feet, it’s the second longest covered bridge in Ohio & has a small metropark surrounding it. The bridge is on the National Register of Historic Places & highlighted by Ohio Historical Marker # 2 – 4 with some of its history. Ashtabula County also has a covered bridge festival at the fairgrounds every year. Hartsgrove is more of a historical community than a ghost town, but aside from the cars rolling by, being in the town square feels more like the early 1900s than the early 2000s. The township is also called Hartsgrove but was originally Gladding Township. In 1806, John Gladding (1782 – 1853) & his wife Mary (Ritter) Gladding (1783 – 1853) came from Hartford, Connecticut & settled a farm along SR 534 between Hartsgrove & Windsor. Their son Joseph Gladding (1809 – 1866) & his wife Thankful (Norris) Gladding (1798 – 1878) later settled a few miles north near Hartsgrove & had several children. Half of the township was a wedding gift to one of their descendants, & sometime in the mid to late 1800s the township name was changed from Gladding to Hartsgrove. The town was organized in 1830 & its post office ran from 1830 – 1905. Its square has a restored general store, the last one room schoolhouse, an old church, former meeting hall, & the Hartsgrove Emporium which housed a US presidents museum. There’s also a nice small park with a gazebo in the middle of the traffic roundabout in the town square. John & Mary Gladding were buried in Windsor Township Cemetery about 5 miles south of Hartsgrove on SR 534. Joseph & Thankful Gladding were buried with several of their ancestors in Hartsgrove Center Cemetery (Hartsgrove Township Cemetery) off of SR 534 just north of the town.